Wat is dit voor site? Wij zoeken de goedkoopste boeken op internet. 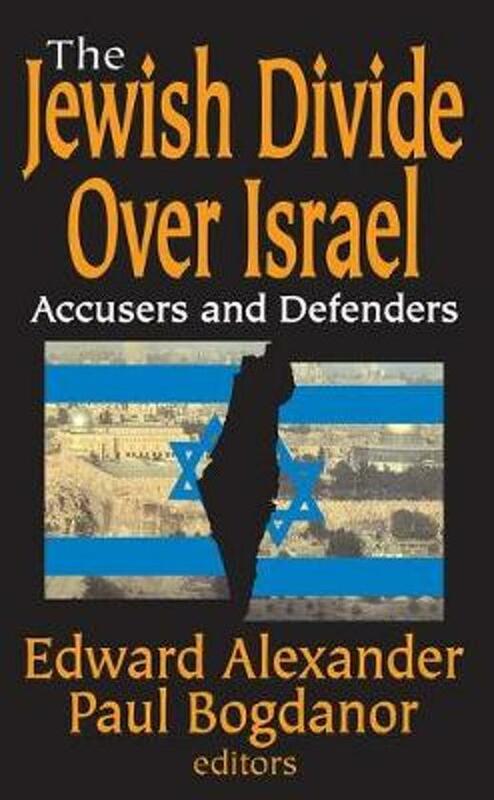 The Jewish Divide Over Israelvonden we het goedkoopst op Bol.com voor €51.99. We hebben gezocht in nieuwe en tweedehands boeken. Rechtsonderaan de pagina kan je het boek direct bestellen	via Bol	.com. "Before 1967, Israel had the overwhelming support of world opinion. So long as Israel's existence was in harmony with politically correct assumptions, it was supported, or at least accepted, by the majority of ""progressive"" Jews, especially in the wake of the Holocaust. This is no longer the case. The Jewish Divide Over Israel explains the role played by prominent Jews in turning Israel into an isolated pariah nation. After their catastrophic defeat in 1967, Arabs overcame inferiority on the battlefield with superiority in the war of ideas. Their propaganda stopped trumpeting their desire to eradicate Israel. Instead, in a calculated appeal to liberals and radicals, they redefined their war of aggression against the Jews as a struggle for the liberation of Palestinian Arabs. The tenacity of Arabs' rejection of Israel and their relentless campaign--in schools, universities, churches, professional organizations, and, above all, the news media--to destroy Israel's moral image had the desired impact. Many Jewish liberals became desperate to escape from the shadow of Israel's alleged misdeeds and found a way to do so by joining other members of the left in blaming Israeli sins for Arab violence. Today, Jewish liberals rationalize violence against the innocent as resistance to the oppressor, excuse Arab extremism as the frustration of a wronged party, and redefine eliminationist rhetoric and physical assaults on Jews as ""criticism of Israeli policy."" Israel's Jewish accusers have played a crucial and disproportionate role in the current upsurge of antisemitism precisely because they speak as Jews. The essays in this book seek to understand and throw back the assault on Israel led by such Jewish liberals and radicals as Tony Judt, Noam Chomsky, George Steiner, Daniel Boyarin, Marc Ellis, Israel Shahak, and many others. Its writers demonstrate that the foundation of the state of Israel, far from being the primal sin alleged by its accusers, was one of the few redeeming events in a century of blood and shame.